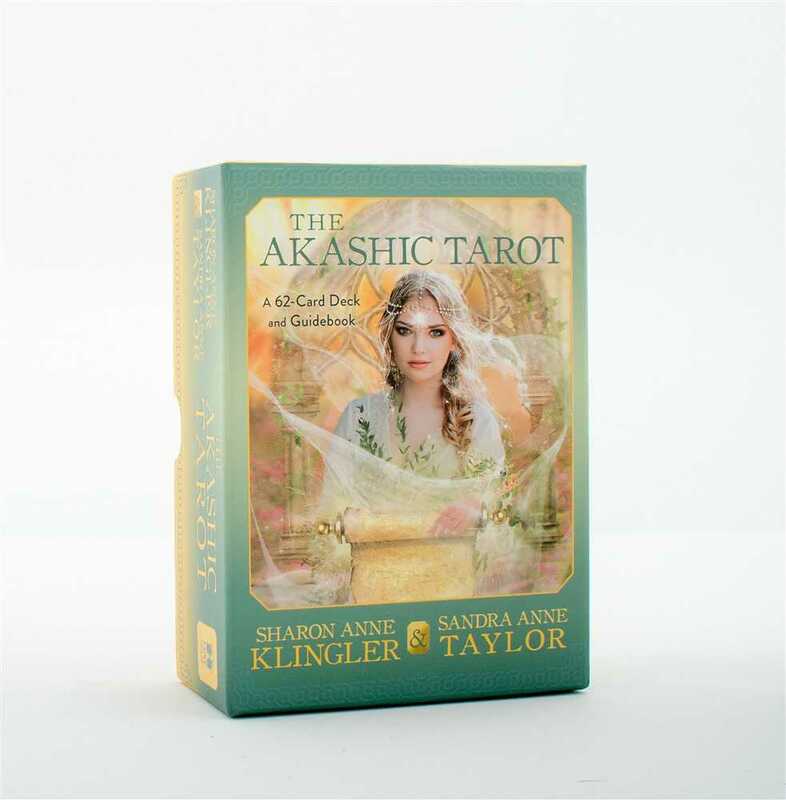 The Akashic Tarot is an astoundingly accurate tool for predicting the future, unveiling hidden insights, and unleashing new powers. 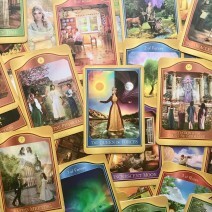 This unique 62-card deck is designed to access the profound energy and unlimited information that make up the Akashic Records, which are great fields of wisdom and power that transcend time and space and are immediately available to all. With each card, you connect with a powerful Akashic Force and open to the psychic currents that are always flowing between you and the Akashic Realm. Let this amazing Tarot deck transport you to the Great Hall of Records to find the answers you seek. Attract your greatest love, uncover your deepest mystical histories, and tap your innermost power. The Akashic Tarot can reveal ancient and new talents, unexpected victories, imminent rendezvous, unmet allies, and the steps to untold prosperity. They also open you to your spirit guides, Ascended Masters, angels, and loved ones in spirit. 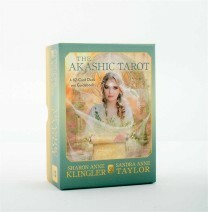 With the turn of a card, you can enter the Akashic World!